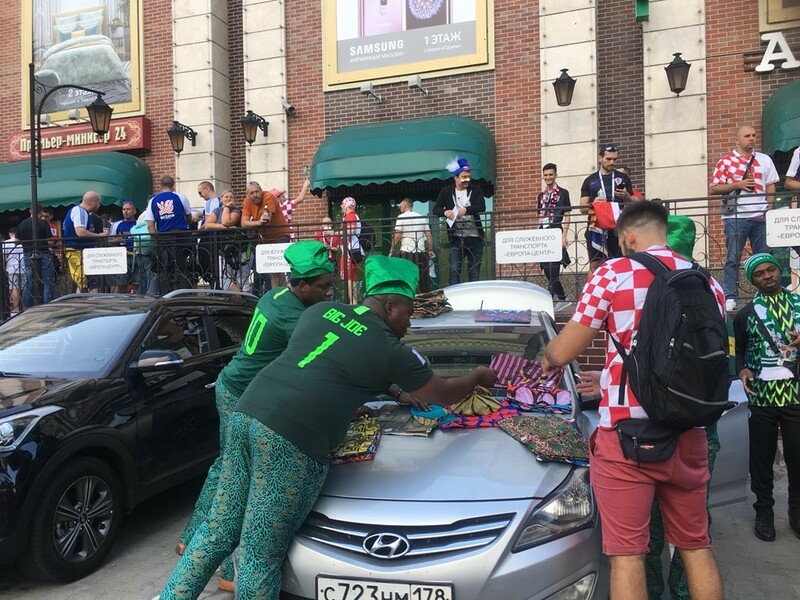 These Nigerian men in Super Eagles jerseys were photographed in front of the Kaliningrad stadium and sold fabric from Ankara before the World Cup in Croatia and Nigeria last week. The photo has gone viral. See the Twitter recitations below.